The grand finale to our season is a performance from the seven strong legend that is She’Koyokh. 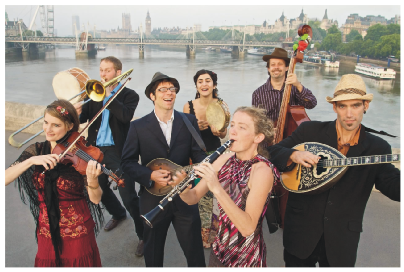 They have spent fifteen years absorbing the rich folk music traditions of Jewish Eastern Europe, Turkey and the Balkans and their passion for this repertoire is plain to hear in every scintillating note. This will be a fitting climax to our series of twenty thrilling concerts. The Jewish Music Institute, London.